When Avery and I brainstormed ideas for their engagement session, it made sense to dive into their tickle trunk. 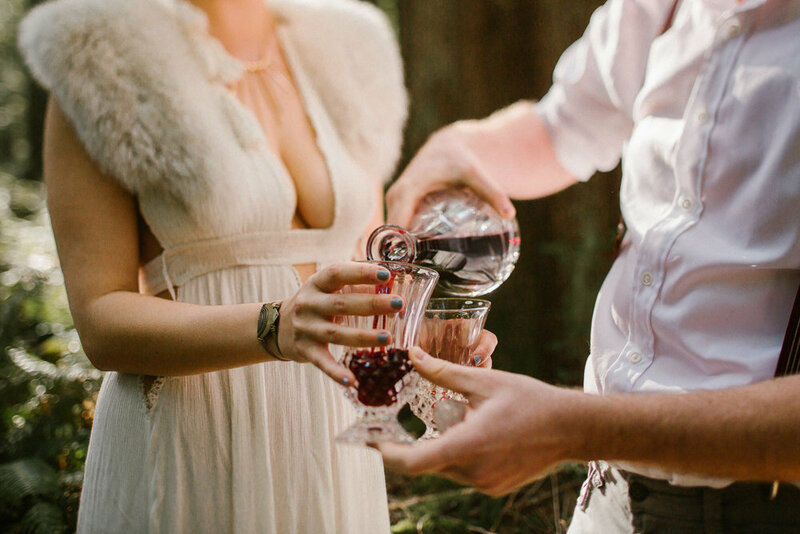 Festival goers, and nature lovers, Avery and Andrew's inspiration came easily. 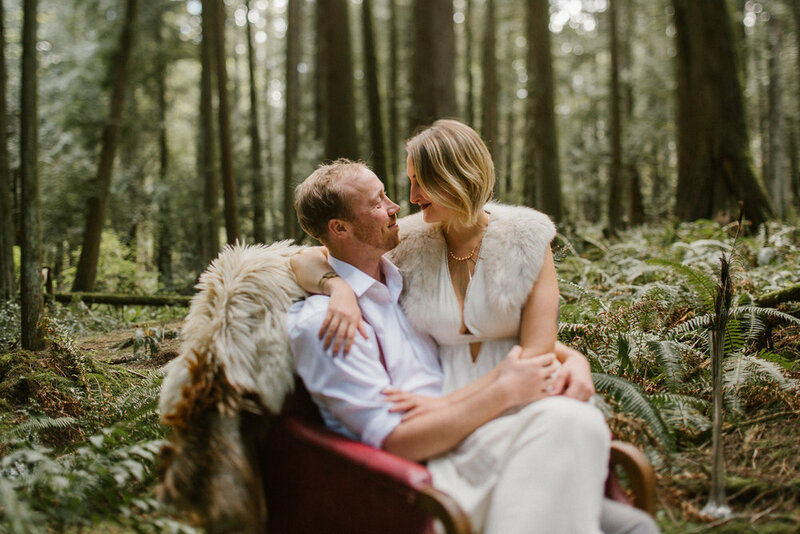 How about a forest lounge complete with red wine, crushed velvet, candles and up-cycled furs? Yes. That sounds perfect! 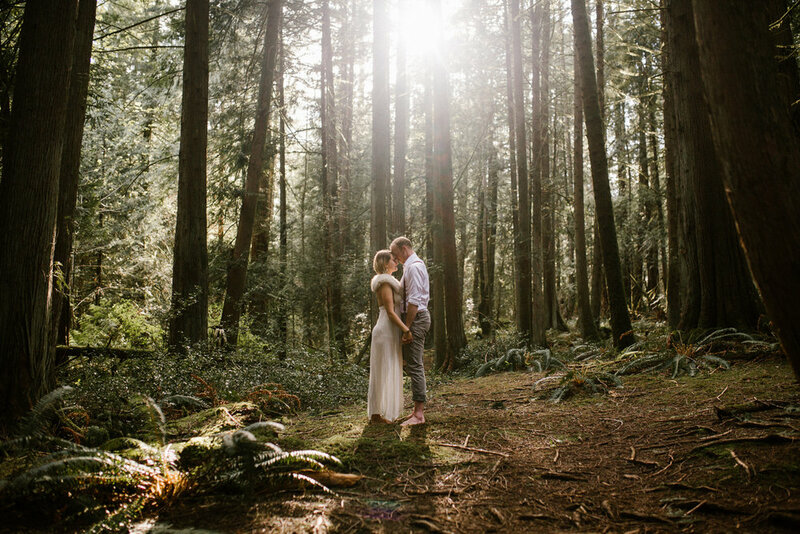 We created a set fit for a forest king and queen, just outside of Victoria, in Francis King Park. It was complete with chocolates, strawberries, and, of course, fireball. This shoot was a nice reminder to get a little whacky and do something different now and then! I'm typically not a prop person, but this concept was too good not to try....and I got to eat a lot of the props at the end of the shoot, so what's better than that?! When it came time to be a bit more vulnerable and take some intimate photos, Avery and Andrew opened up right away. It's easy to see that these two have something special; it's in the way they look at each other. 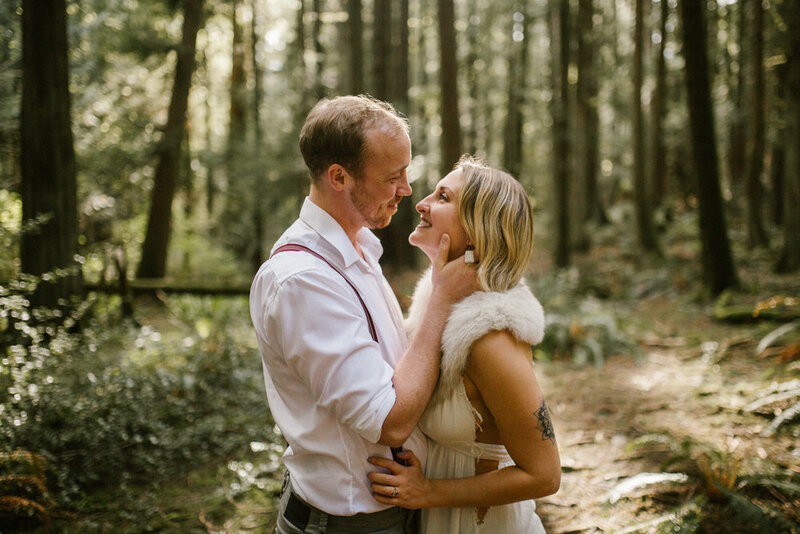 Getting to chance to document their quirky, wild love, makes my heart full! Moral of the story - never forget the importance of a good ol' dress up party.